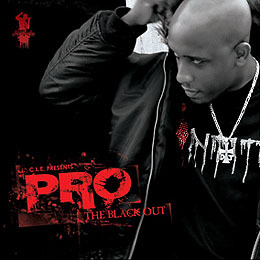 Pro will release his debut album “The Blackout” officially on November 6th 2008 (date pushed from Oct. 31). If you are still uneducated on who Pro is, download his free mixtape “My Name is Pro” here on Rapzilla. The album will feature Pettidee, Soul P, and Willie Will. As well as Production from Doc Watson, Yung Vizzy Adot, and Pro (himself). We’ll get this album reviewed and rated soon before the release date.